Roses Are Red, Violets Are Blue? Can Dogs See Color Too? 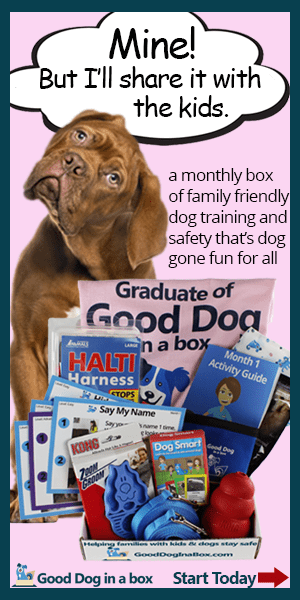 What Is The Best Way To Keep Your Dog Safe, Best Dog Harness! Dog Killer In Household Items! Xylitol And Dogs! Tick-Tock, Tick-Tock, Best Tick Prevention on Dogs! Teeth Cleaning Dogs, Keep those Pearly Whites, White! Stop! Not there! Potty Training Your Puppy! Fido, don’t bark! Fido, come here!…dog training collars! Not In My New House! How To Stop Male Cat Spraying! Think Outside the Box! Natural Cat Litter for Your Cat. Weird Cat or Just Normal? Cat Behavior Problems! On The Road In My RV. How To Travel With Pets! Traveling Pets, Taking your pet on the road! Health Insurance for my Pet, Really? 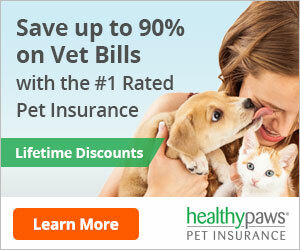 Compare Pet Insurance Plans! Best Flea Treatment For Dogs and Cats Product Review, BRAVECTO! A GPS Dog Collar Review, The Link AKC Smart Dog Collar! Say Cheese! Furbo Dog, Best Pet Camera! My Crazy Cat! Cat Calming Products, Do They Really Work? Robots for Cats, Really? Self-Cleaning Litter Box, A Product Review! Bodhi Dog Natural Pet Breath Spray for Dogs Teeth and Healthy Gums, A Product Review! Do you have an Anxious Dog? Do you need Dog Anxiety Treatment? Nutramax Cosequin DS Plus with MSM Chewable Tablets, A Product Review for Dog Joint Supplements. The Best Pet Supplies, Why I Do This! My dog is a nervous wreck! No one likes to watch their dog suffer from anxiety caused by thunder, fireworks, or any other form of noise that upsets your favorite pet. I have a Pomeranian and she gets upset and nervous every time the fireworks go off during holidays. She especially gets upset every time a thundershower goes over. This was driving my wife and I crazy. We did not know how to calm her down. Small dog or big dog, this can be common problem for all pet owners. Cats are not the exception either. When your dog becomes upset, all types of bad behavior can happen. Your house can become a mess. So if it is thunder, fireworks, or just separation anxiety, there is help today. Dog Calming Products such as Comfort Zone Dog Calming Vest can help solve the problems of having an upset dog in your house. In this review, I will give you an unbiased product review of a dog calming vest that I currently use with my Pomeranian. Comfort Zone Dog Calming Vest Rundown! Whose Dog Is This For? There are many studies available today that show that pressure therapy can be very effective in reducing the stress within your dog. The theory is similar to swaddling you new born infant. It gives them the assurance and comfort that the mother provides early in their young lives. So when you swaddle your dog, it will help reduce the stress caused by load noises such as thunder or fireworks. It will help in separation anxiety as well. This vest is soft and flexible making it easy to put on your dog. The material is breathable that allows maximum comfort for your dog in all climates. The Comfort Zone Vest is a recommended product by Veterinarians and has been rated as the #1 brand for pet behavior management. All dogs will have different reactions to this product. May not relieve all anxiety that the dog exhibits. Will not work well if not properly sized to your dog. This product is for my dog. She is a nervous wreck when it comes to thunderstorms or fireworks. Recently my wife and I are traveling in our motor home and the Comfort Zone Calming Vest for our Pom is a must. She has not gotten completely acclimated to the noise that the RV makes as we are going down the road. This vest gives her more assurance and seems to calm her as we travel. If you are on the move a lot and you take your dog with you, this is a good product to provide comfort so they can enjoy the traveling as well. If you are away from your home and your dog displays separation anxiety, this is a good product for you and your dog. You can monitor your dog from work as well. See my product review on the best pet camera and monitoring system by pressing here. I highly recommend this system and it is a great training tolls as well. Stress from any unexpected loud occurrence that can frighten your dog. General stress that your dog might be exhibiting. To get the maximum effect the Comfort Zone Calming vest you need to make sure this vest is properly sized to your dog. The Comfort Zone Calming vest comes with a 100% Satisfaction Guarantee. If you are not completely satisfied with the vest, your can return within 90 days of purchase for a 100% money back refund. This provides you ability to try the product risk free as long as you follow the return policy. Let your dog smell and play with the vest. Offer your dog a treat with the vest to create a comfortable atmosphere. Follow the fitting chart and techniques before putting the vest on your dog. You want your dog to know this vest is for calming them and helping them during stressful times. Make it comfortable for them. I have been using the Comfort Zone dog vest for my small dog and it does help in keeping her calmer. I can not say it takes all the anxiety away, but it seems to help. My dog enjoys wearing her vest and all in all it helps her with her anxiety. However, not all dogs are the same and your dog might react differently. This is why it is s important to size the vest and introduce the vest to your dog properly. My Overall Rank Based On My Experience: 9 Out Of 10, Based on My Own Experience with the Product. I personally have had very good results with the Comfort Zone dog calming products. My Pomeranian is very comfortable while wearing the vest and is very calm when traveling in my motor home. So if your dog suffers from anxiety created by various reasons, this is the product for you. It has made a great improvement in my small dog’s life and she is much more pleasurable to have around when she is calm. So join me and purchase this dog calming vest today, the Comfort Zone Dog Calming Vest. I hope you have found this article of value and it has helped you make the best purchasing decision possible. I would love to hear what your think of this product and any experiences you have using it. Please leave a comment below and I will get back to your ASAP. What a wonderful product! Thanks for the information. I am going to check into this. Did you say they have something for cats? My cat could really benefit from this product. Yes, they do have a product for the cat as well. Another good product that is similar to the Comfort Zone you can read about in this article. Thanks for the comments and I hope I help you out.